In 1999, a TCU running back by the name of LaDainian Tomlinson (some of you may have heard of him) set the FBS record for most rushing yards in a game when he torched UTEP for 406 of them. That seemed like a total that would never be broached, because 406 yards is kind of a lot. Well, Wisconsin, which should probably be rebranded Running Back University, has a young man in the backfield named Melvin Gordon. And on a 26 yard touchdown scamper as time expired in the third quarter (see below), Gordon pushed Tomlinson&apos;s name down to second place in the record books. 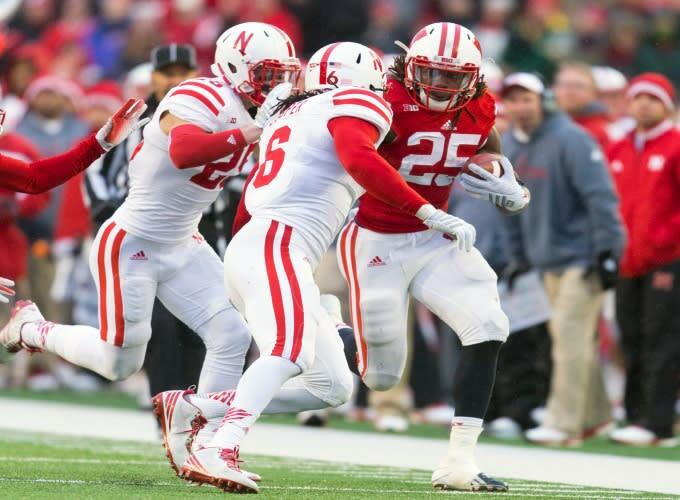 Gordon hit 408 yards against a porous Nebraska defense in just three quarters (!!! ), adding four touchdowns to go with it. He&apos;s rushed for 20 touchdowns on the year, and has brought his rushing total up to over 1500 yards on the season. Wisconsin had some big shoes to fill after Montee Ball left for the NFL, but Gordon has has occupied that space seamlessly. On one of the coldest days on record at Camp Randall Stadium in Wisconsin, Gordon is, as they say in "NBA Jam", on fire. LT is even giving the kid some love.